These are limited to 25 copies and are printed in my studio on my inkjet printers. 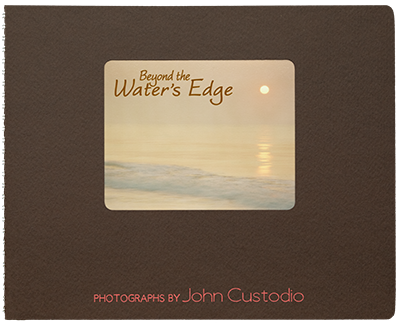 They are 9” high by 11” wide and feature a handmade cover and binding, and pages printed with archival inks on 100% cotton book weight paper. California’s diverse geography ranges from the Pacific Coast in the west, the Sierra Nevada Mountains in the east, the Redwood and Douglas fir forests in the northwest, and the Mojave Desert in the southeast. The center of the state is dominated by the Central Valley, a major agricultural area. It is one of my favorite places for landscape photography. 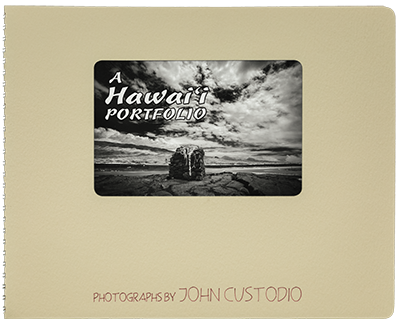 A selection of photographs from two photo trips to the Hawaiian Islands, visiting Kaua‘i, O‘ahu, and the Big Island. The emphasis is more on the mystical and historical, rather than the typical sunset with palm trees on the beach. New Mexico is a land of contrasts – from ancient civilizations to the development of the atomic bomb. It’s also a land of spectacular landscapes, rich in Spanish and Native American cultures. 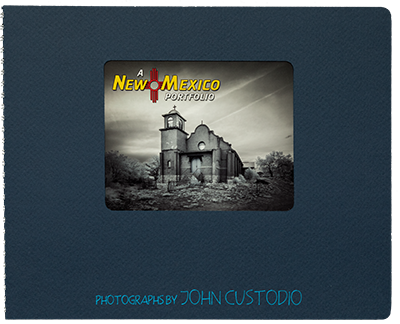 This book features a selection of photographs I made on several trips to New Mexico. They span a timeline stretching from the formation of river gorges and sand dunes millions of years ago, to churches built during the Spanish Colonial period, to examples of architecture in the heyday of railroad travel and at the beginning of the automobile era. South Carolina can be a land of mystery and history if you look hard enough. 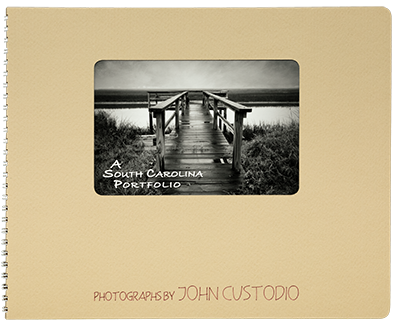 Swamps, marshes, coastal areas shrouded in fog, old buildings fallen to ruins long ago, are some of the subjects I found in my travels through the South Carolina Low Country. 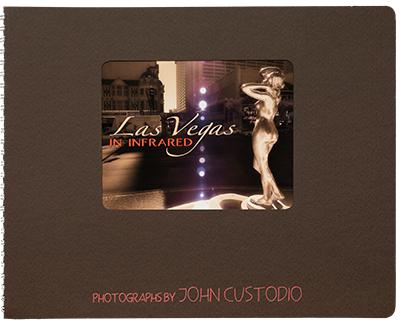 I had been to Las Vegas many times, but never was very interested in photographing there. But on one trip out west, I decided to take some shots on my newly infrared modified digital camera. The fantasy effect that the infrared portion of the spectrum adds to the already fantastical architecture really inspired me to pursue this further and to complete the project over several trips. Once or twice a year I take to the road on long trips across the country, looking for interesting landscapes to photograph. 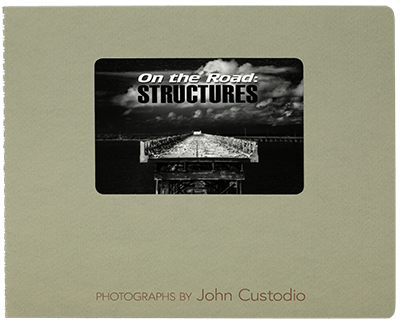 In my travels I’ve noticed and photographed what, for want of a better term, could be called “structures” – lone buildings, towers, monuments, objects, remains of dwellings – isolated within the landscape. Some are merely functional, some are commemorative, and some are surviving remnants of what once was, but they all serve as a fascinating counterpoint to the wider expanse around them. 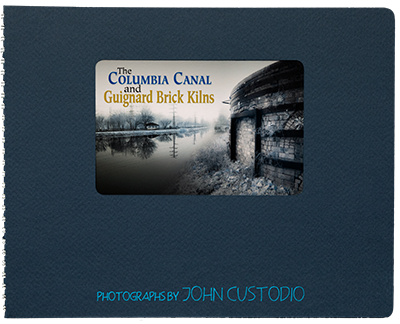 Using an infrared modified digital camera, I photographed two examples of old industrial sites in the Columbia, South Carolina area. Recording these scenes in infrared added an interesting dimension to these historic places. 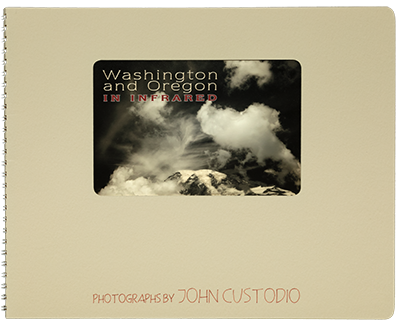 In August of 2007 I spent two weeks traveling in Oregon and Washington. This wasn’t the first time I had been to this part of the country on a photo trip, but it was the first time I had been in this area with my infrared modified Canon 5D. The results were quite amazing. Ocean, river, lake, pond, swamp – a collection of views seen from the land to the water’s edge and beyond.